Footloose in India: Tree of Life or Tree of Enlightenment? This is one of the most revered and worshipped trees in India! One can find this tree spread across the length and breadth of India. In almost all the villages, there would be a platform made under this tree for people to sit and spend sometime in the shade before proceeding on their journey. 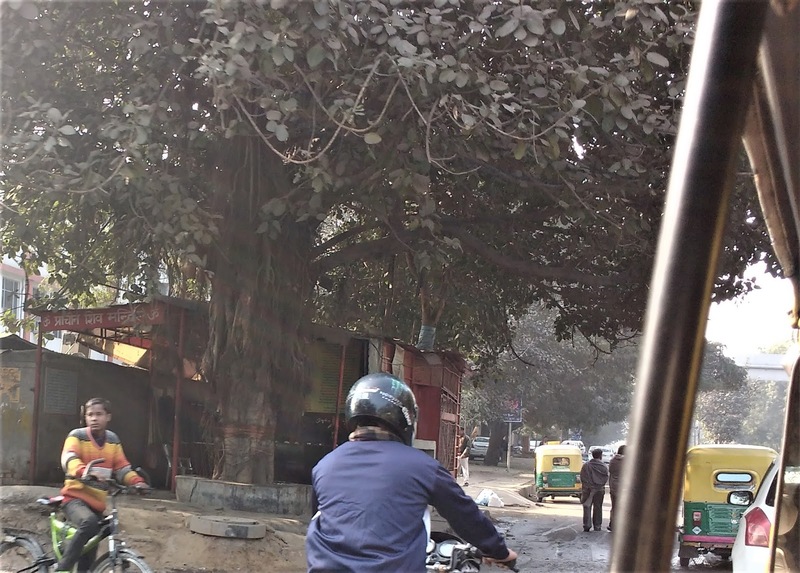 In Delhi, I have seen this tree attached to a temple or vice-versa. If it’s not a huge temple, then atleast there would be a few photographs or idols of different Hindu diety kept under the foot of the tree. People worship this tree to get success, removal of fear from devils and supernatural powers, to be happy, etc. etc. In Hindu mythology, Krishna is said to be residing in this tree. He is also supposed to have laid down his life under this tree . 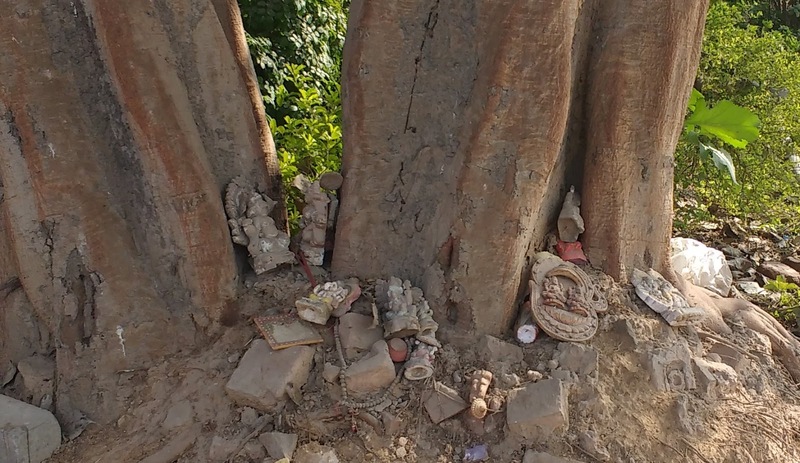 It is also said that the Trimurti, Brahma, Vishnu and Shiva reside in this tree – Brahma in the roots, Vishnu in the trunk and Shiva in the leaves. Lakshmi is also said to be visiting this tree on Saturdays. Ladies tie threads around the tree and go around this tree worshipping for husband’s long life and even to be blessed with children. The tree is also considered sacred for Buddhists as Lord Buddha attained his enlightenment while meditating under this tree and therefore it is also called the tree of enlightenment. Scientifically, this tree is considered to be of huge medicinal value. It is supposed to cure more than 30 ailments. Its, roots, barks, trunk, fruits, seeds, milk and leaves are all considered to provide relief for various health conditions. It is also said (though not a proven theory) that this is the only tree that gives out oxygen even at night! 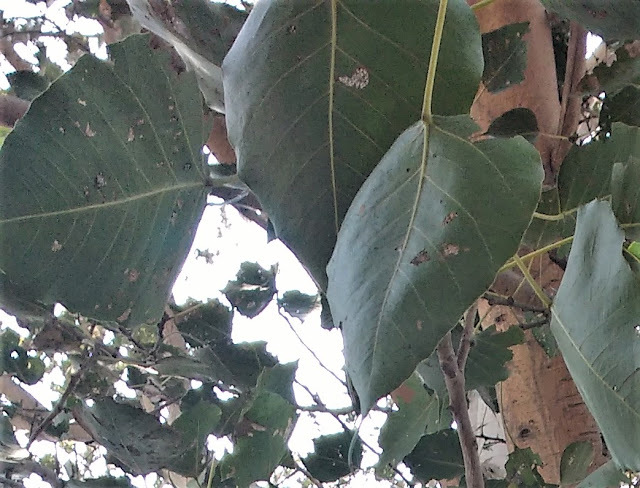 It is called by many names – Peepal, Pippla, Bodhi, Ashwatha, Banyan, Ficus religiosa and many more! I love the shape of the leaves. They are beautiful heart shaped ones with a long tapering end. It has been an inspiration for various art forms in India. Most of them are very old and have roots falling to the ground from above. It sometimes has a very scary and haunted look to it. 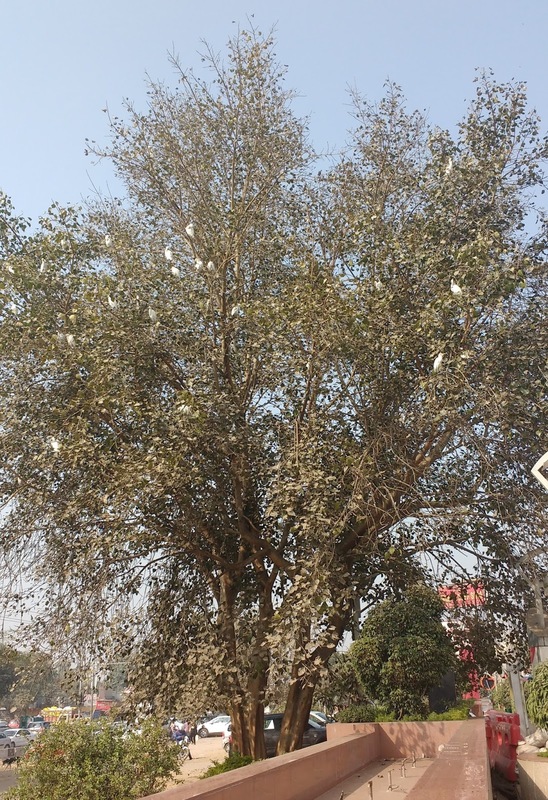 There is a peepal tree right next to our building and strangely I have been noticing some egrets perched up on this tree for the last couple of days. I've noticed quite a few of them come and nestle around its branches almost every day when I went out for a walk around the place. I was intrigued and looked around to see if they were inhabiting other trees also, but they seemed to be interested in occupying their space on this tree only. Do they also intrinsically recognise this is a sacred tree or is there some other reason, I wonder?